Malta is a little gem sitting in the middle of The Mediterranean between Italy and Morocco. Ideal for a year round holiday. I love to get away in the winter and stay somewhere out of season. Malta is a perfect choice, mild weather, not crowded and of course you will find some inexpensive deals for flights. Where to stay? Well, Corinthia Hotels are always an excellent choice for me. 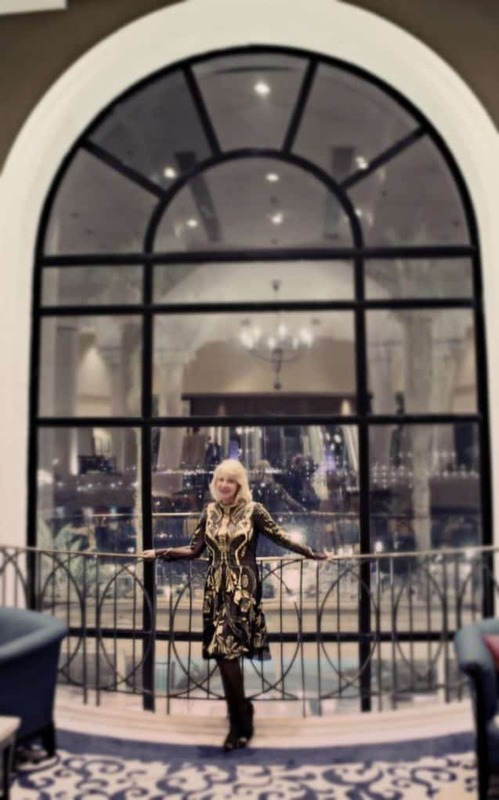 I love the small, family run hotel group with its emphasis on caring for guests, making sure they have a lovely time with excellent facilities and staff . A friendly welcome is guaranteed. 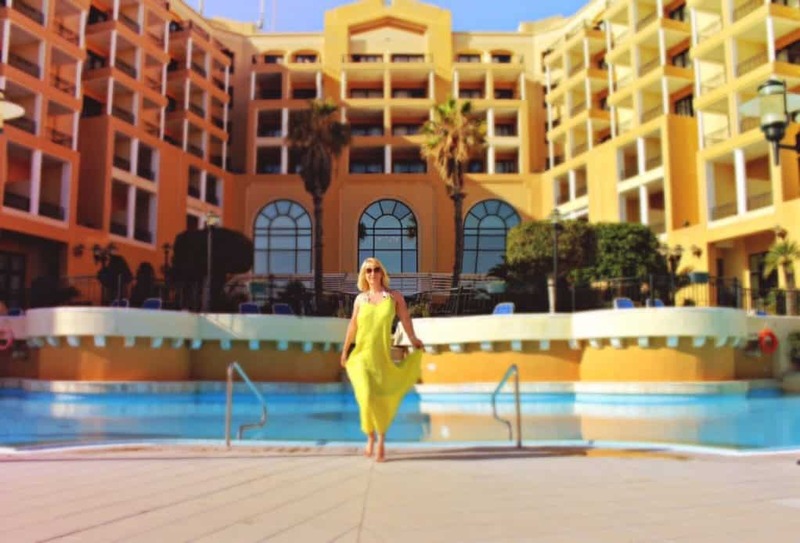 Corinthia Hotel St George’s Bay Set beside the sea with gorgeous views, located in St Julian and only 10 minutes drive from Valetta. 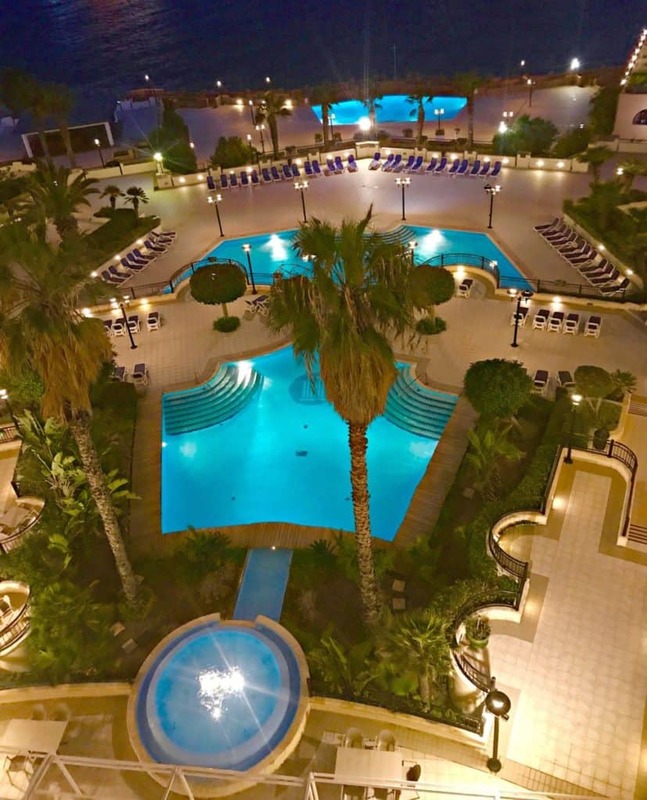 The resort has 6 pools and 8 restaurants, it is tempting just to stay there, but you must explore Malta. 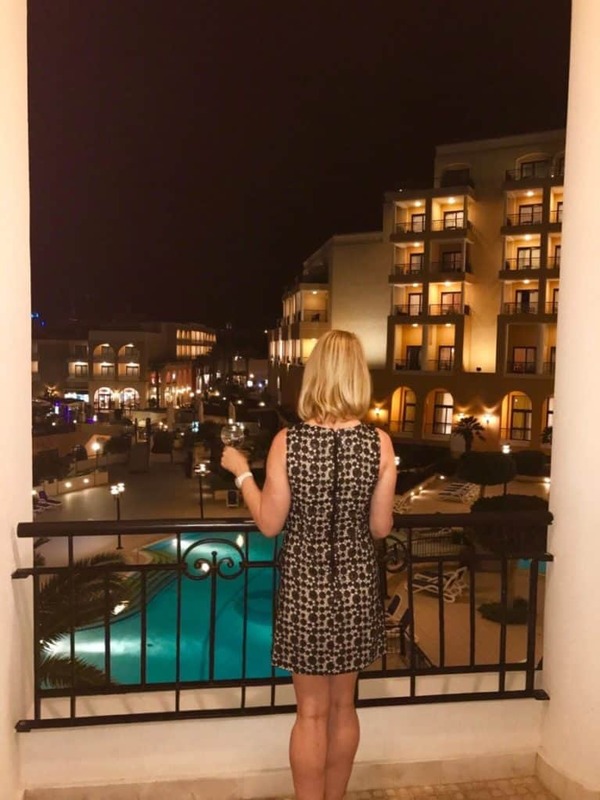 I stayed in Suite 58 which boasts not one but two balconies both with fabulous views! A comfortable bed, which is a Diva essential as is lots of wardrobe space and plenty of hangers. Lovely bathroom products from Espa plus slippers and bathrobe will make you feel like a pampered Diva too! The living Room looks out to sea with fantastic views and we enjoyed a cup of tea on the balcony which we could make ourselves with our tea and coffee making facility. 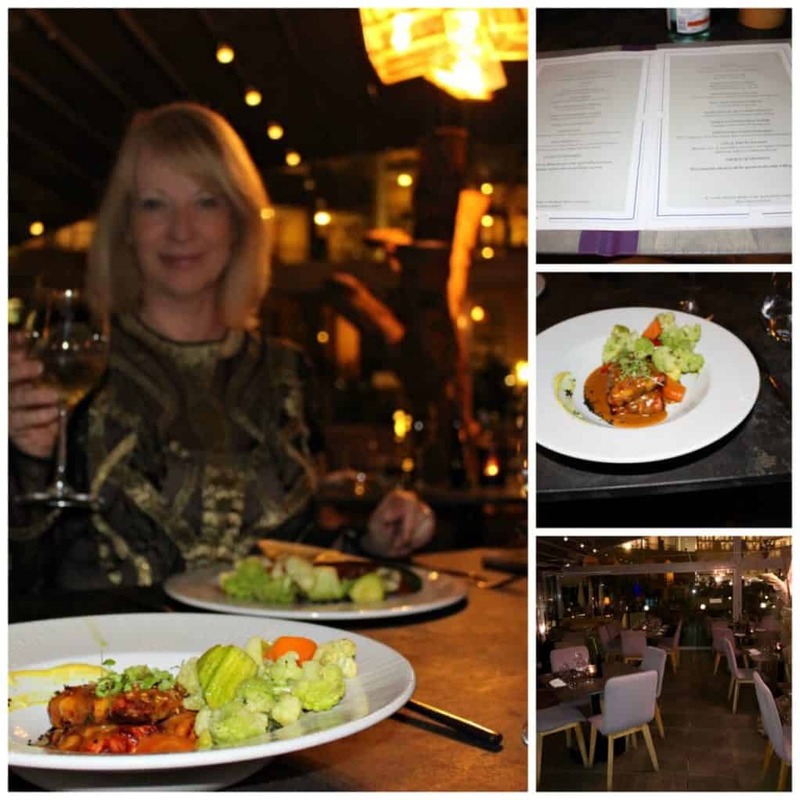 We were spoilt for choice with 8 different places to eat at the resort. This was packed full at lunchtime with guests and locals, always a good sign! Enormous portions and perfect for a casual lunch or drink. Dinner was delicious at Buddhamann, an ethnic-asian fused Restaurant with a bottle of Maltese wine. Maltese wine is very good indeed, we needed to sample many different types of course! Wine was so inexpensive, I couldn’t quite believe it after prices in France. Caviar and Bull Restaurant and Fra Martino Restaurant were very tempting too! Breakfast is served at Fra Martino Restaurant, if you don’t want a lovely Room Service brekkie. The choice is wonderful! You will definitely find something you love to eat. My favourite Omelette was freshly made for me. 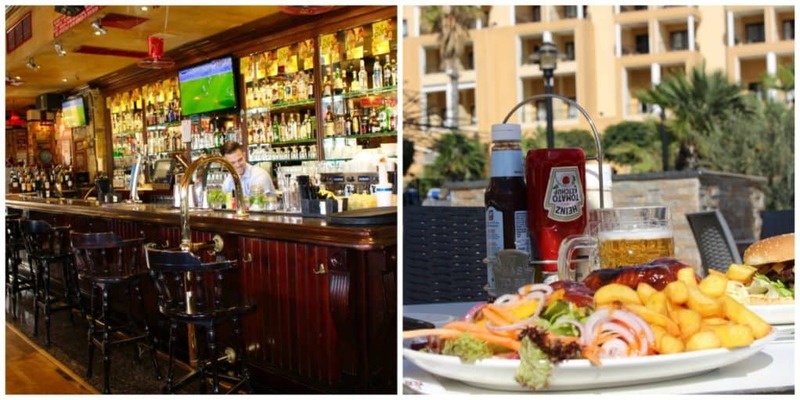 Choose pancakes, full English breakfast, continental… so many choices. Where to go in Malta? Then plan your day exploring the island. A couple of my favourite places to visit are Three Cities and Mdina. 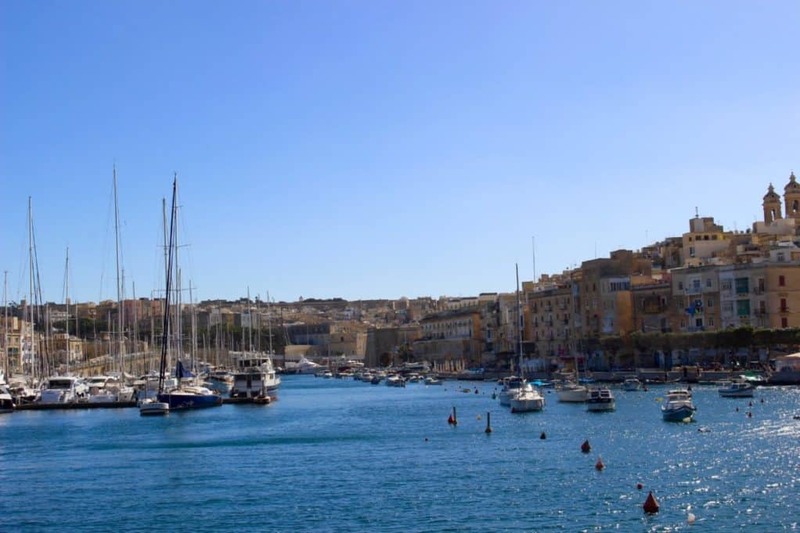 The hotel provides a free shuttle bus to Valetta then hop on a ferry across to Three cities where you can explore these magical, unspoiled fortified cities of Birgu, Senglea and Cospicua. 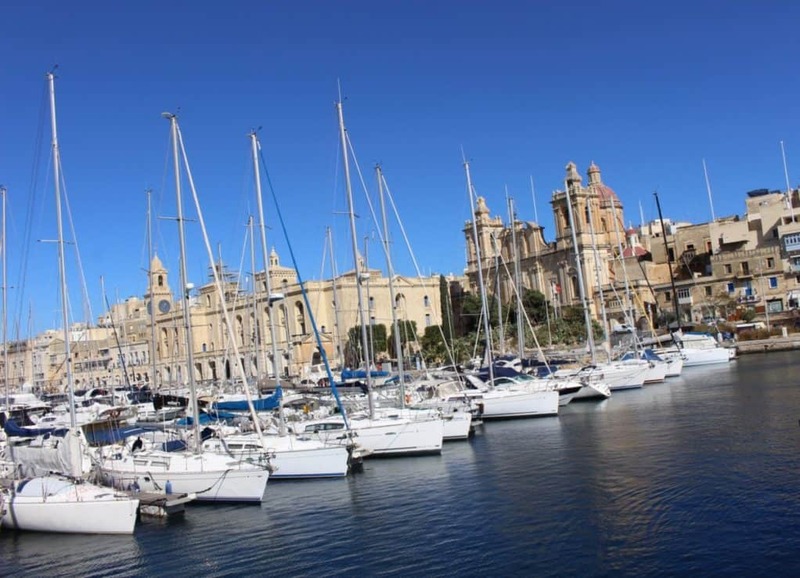 Have lunch then hop back on the ferry which takes 5 minutes to cross back to Valetta. Mdina is a fortified city in the Northern region which was the Capital city from antiquity to the Medieval period. I absolutely loved exploring in a horse drawn carriage and finding the film sites for Game of Thrones! To be honest, Malta is very small and so everywhere is easily accessible. Valetta is the City of Culture for 2018 and so it is an exciting time to visit! There are lots of events to see. Make sure to visit Saint John’s Cathedral which is magnificent and explore the city. Read my Where to go blog, coming soon. The Hotel Lobby is superb with 3 picture windows from which to enjoy the views! Look out for the Silver maker in the Lobby every Monday evening Every day there is a different free activity for guests to. Also, enjoy The Executive Lounge on the 6th Floor if you stay in a Suite or Executive Room. Enjoy something to eat while you enjoy the fantastic view. Did I mention there are 6 swimming pools? If that doesn’t keep you busy there is also a Dive school, Watersports Centre (sadly closed in winter) and a Spa with gorgeous indoor pool! A massage is always a treat and I loved an amazing Ayurvedic Abhyanga full body massage with herb infused oil. My skin was a soft as silk and I felt very zen. Choose a treatment from the Spa menu or enjoy a facial treatment. How lovely is the indoor pool and who doesn’t enjoy a relaxing Spa day? Sauna and whirlpool too – just heavenly. I ended a lovely day with a drink on my terrace admiring the view, before a restful nights sleep. A fantastic couple of days at Corinthia Hotel St George’s Bay Malta. There is so much more to explore I will have to come back soon!